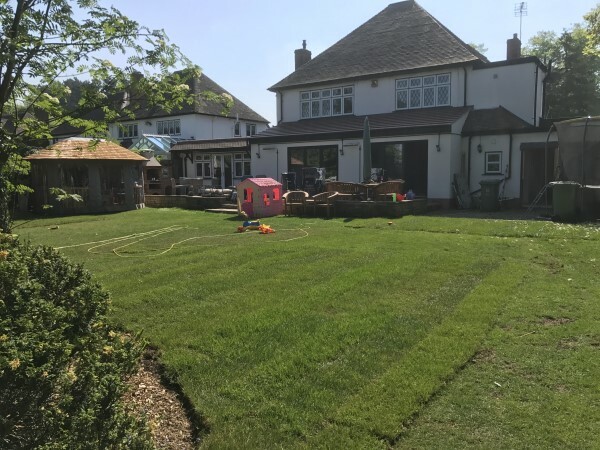 Landscaping works in Wombourne May 2018. A few images from a large project in Wombourne. 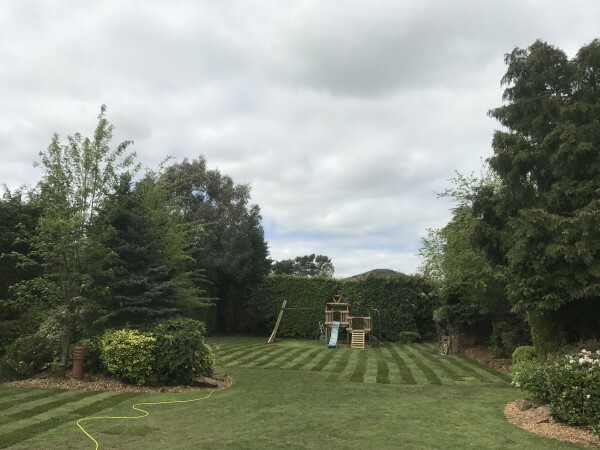 Our Groundsmen have been busy making everything look beautiful in this garden and does'nt it look amazing all ready for the hot summer. The old railway sleeper arch way removed. 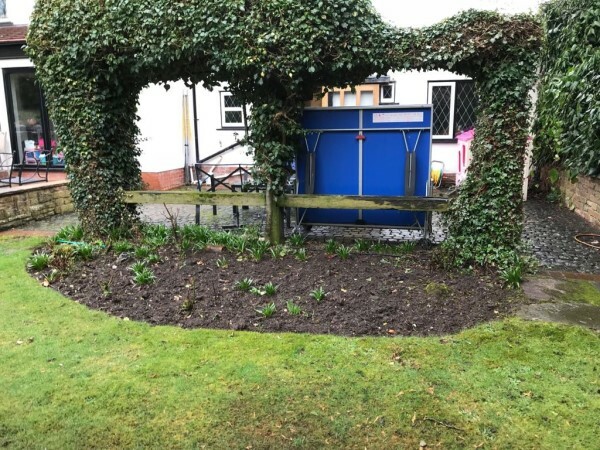 Create a bigger grass area for the customer so this border was to be reduced. 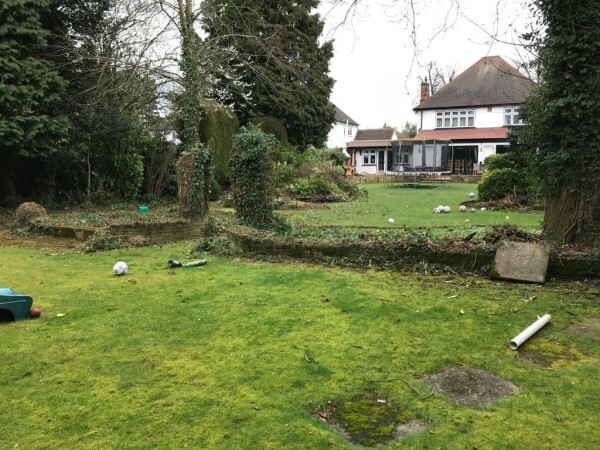 Several trees to be removed. 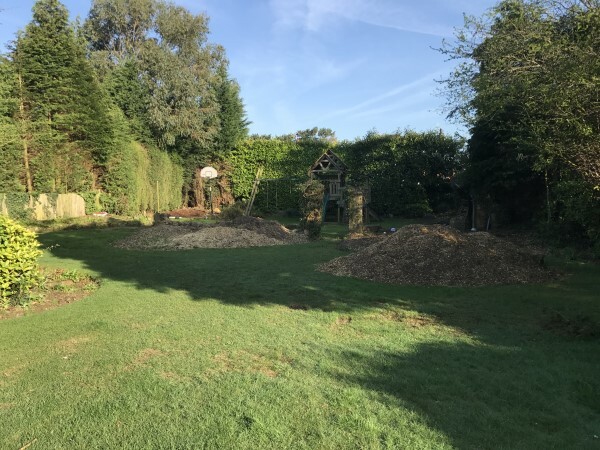 The trees was removed and the stumps grinded out ready for bigger lawn areas. 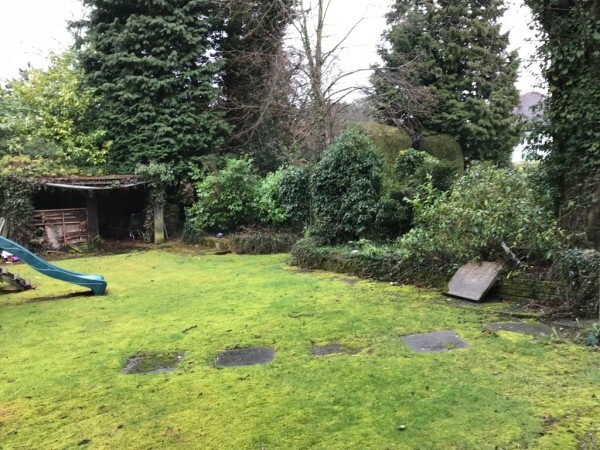 Now time to start removing the old garden into skips. 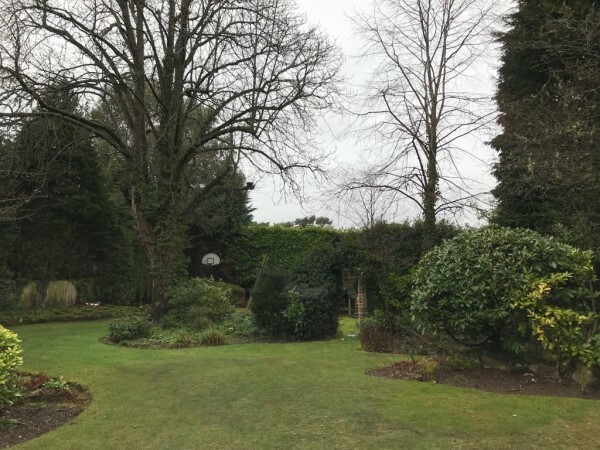 The conifers on the left of the photo was reduced in half. All the chip bark from the trees was incoporated around the borders. 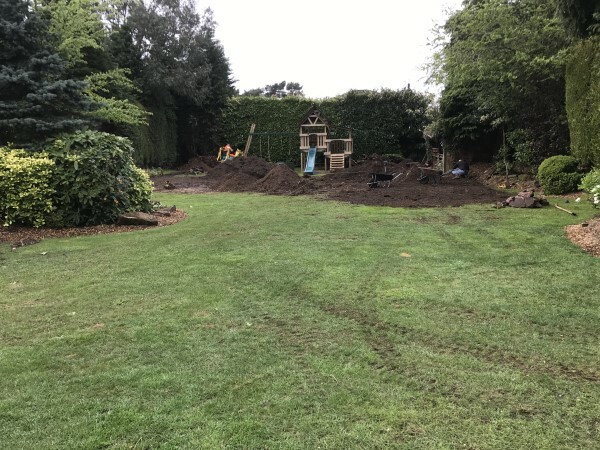 With the use of the mini digger we graded out the garden ready for the turfing. The customer wanted a summer house so we built a concrete base for it. 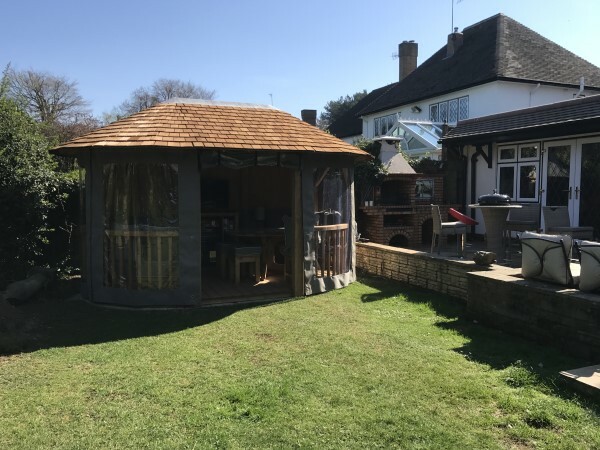 Summer house constructed and doesn't it look amazing. 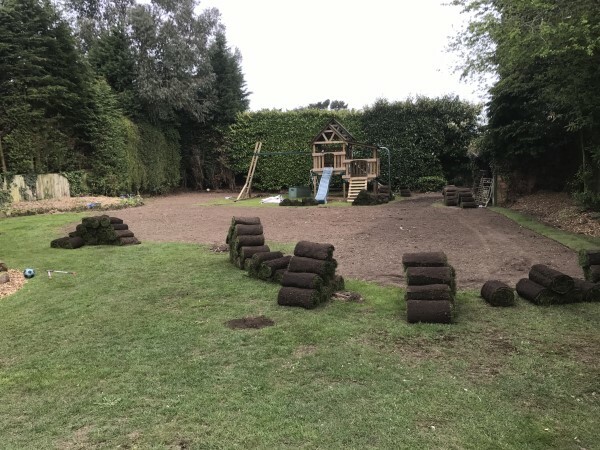 Garden all raked out and level ready for the turf. 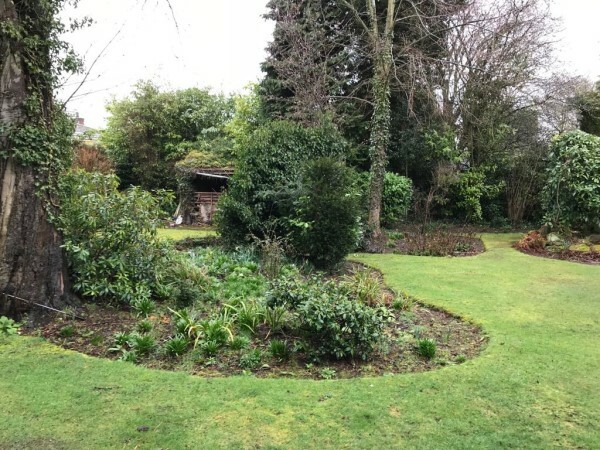 Garden looking great in the Spring sunshine. 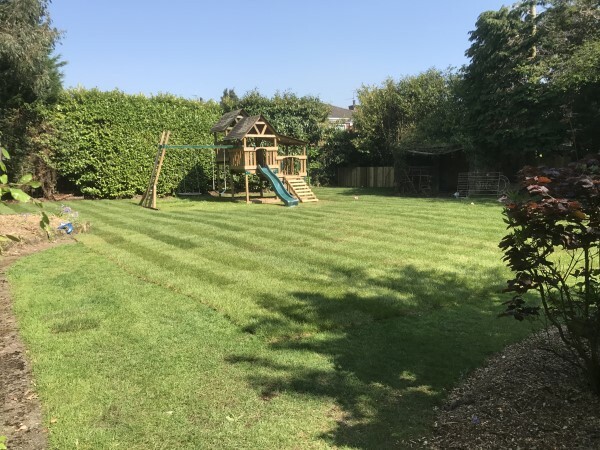 The kids are going to have an amazing time playing in this new garden. All done onto the next landscaping project. 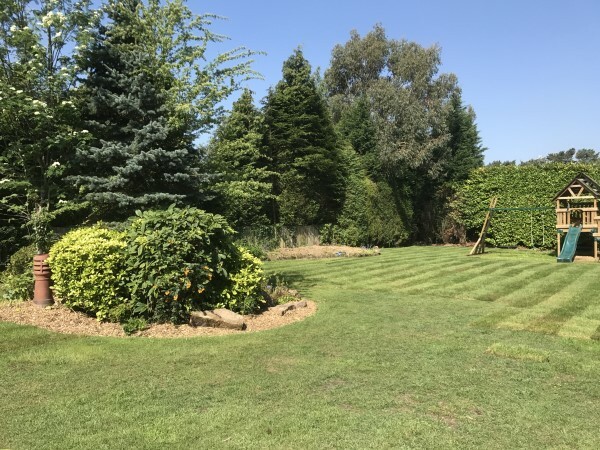 We have used A & B Landscaping for a number of years to maintain our grounds and we have always found them to be efficient, reliable, knowledgeable about plants, trees and gardens and economical. 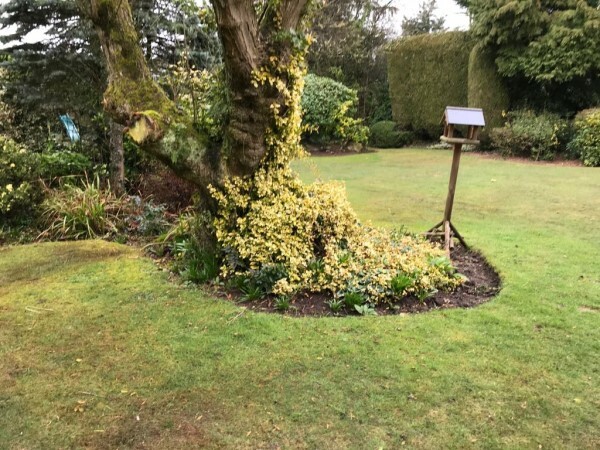 The grounds here are extensive with many trees, shrubs and grassed areas, A & B Landscaping work hard in the limited time we are able to give them, to ensure that the grounds are kept tidy and presentable at all times. I am very happy to recommend them to any organisation looking for contract grounds maintenance.